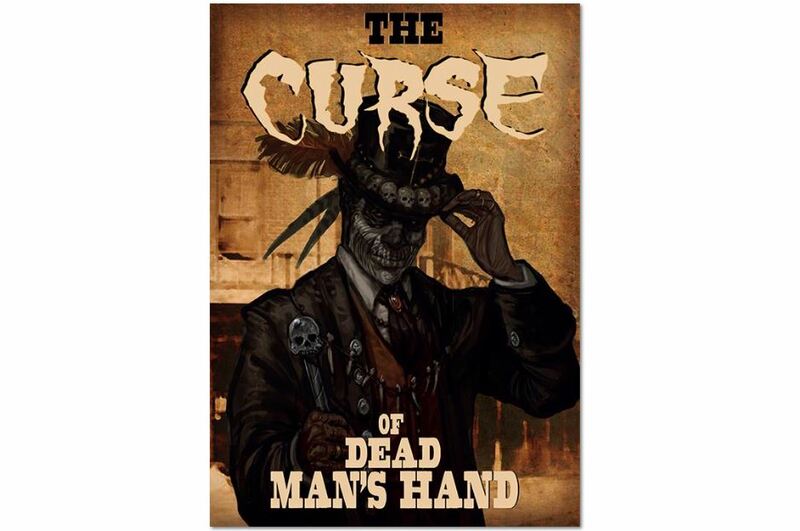 Great Escape Games has started taking pre-orders for The Curse of Dead Man's Hand, the next expansion for Dead Man's Hand. The set includes four new gangs: The Baron, The Seven, the Mountain Men, and The Malevolent Seven. Sounds like a right nasty group of ruffians. Well... I mean... I am here in Chicago (ok, Schaumberg, but that's like saying "I live in Norcross, not Atlanta"). 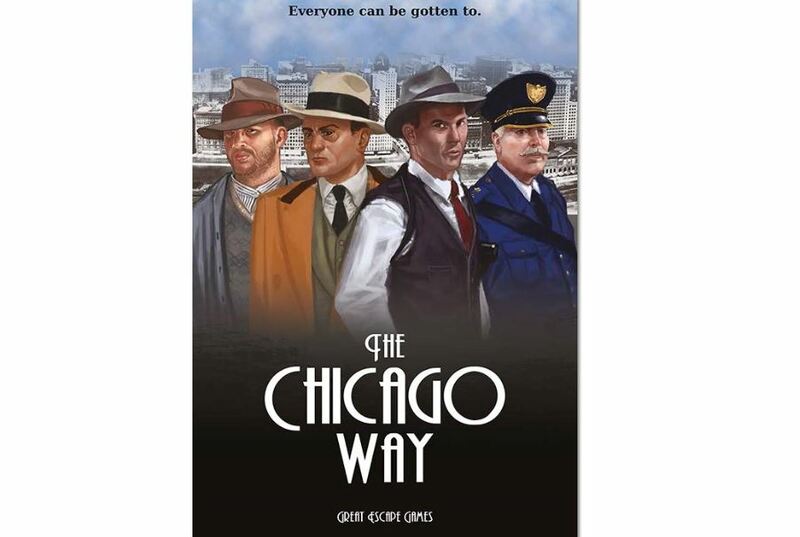 Seems fitting to announce that Great Escape Games is now taking pre-orders for The Chicago Way, their new skirmish game based on the rough-and-tumble Chicago streets during Prohibition. We've got a spaghetti western here on 36. I like the way the boots are all reverbed out walking across the hardwood floor. In fact, everything's got that big reverb sound. 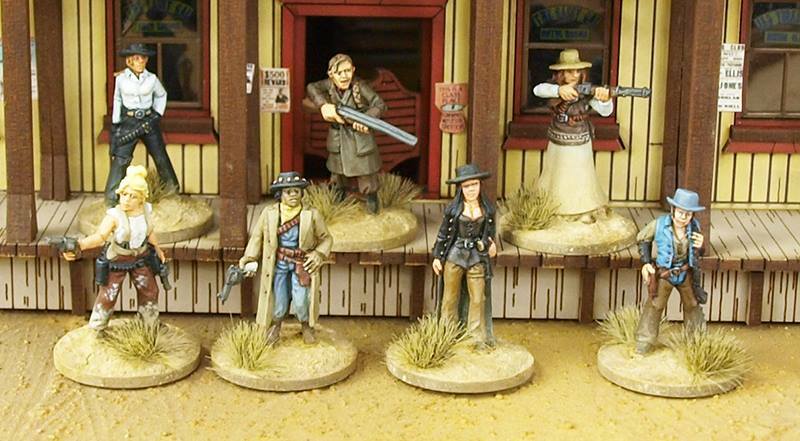 There's also a new gang available to order for Dead Man's Hand. Well, for those of us here in the US, it's back to the "normal work week" for a few. Thanksgiving was great. I did make soup afterward. I've got quite a lot of it. Some will be frozen. Some will be given away. Much will be consumed over the next week. Should stave off any early-winter illnesses I might encounter. In the meantime, though, normalization of everything begins with our Terrain Corner. We missed Thursday's because of the holiday, so we've got some extra for you today. 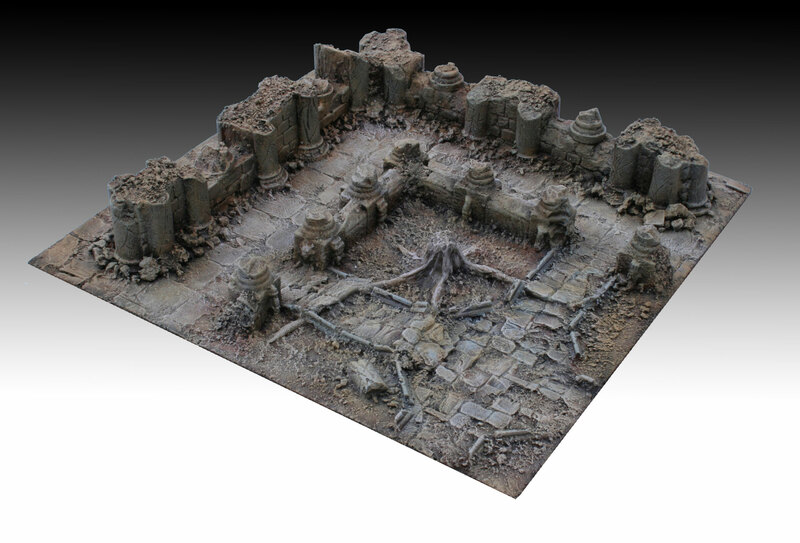 Stories include: Pwork Wargames City Ruins gaming mat now available, New 4Ground Dead Man's Hand Railroad Station and more, Sally 4th Terra Block Barroom set released, Manorhouse Workshop Update #7 – 3D Bases – Modular Terrain: Skirmish & Wargame, Final Days for Trash Bash Bits Part 2, and Two news Russian 15mm houses available From Escenografia Epsilon. The time for pre-orders has come and gone. 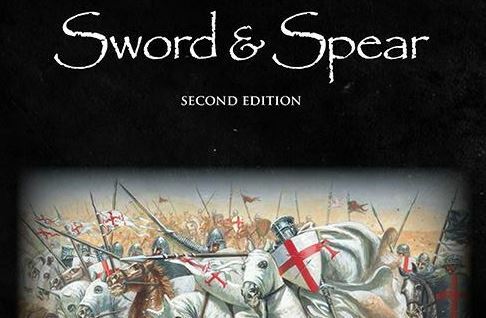 You can now order the 2nd edition of Sword & Spear for yourself from Great Escape Games. 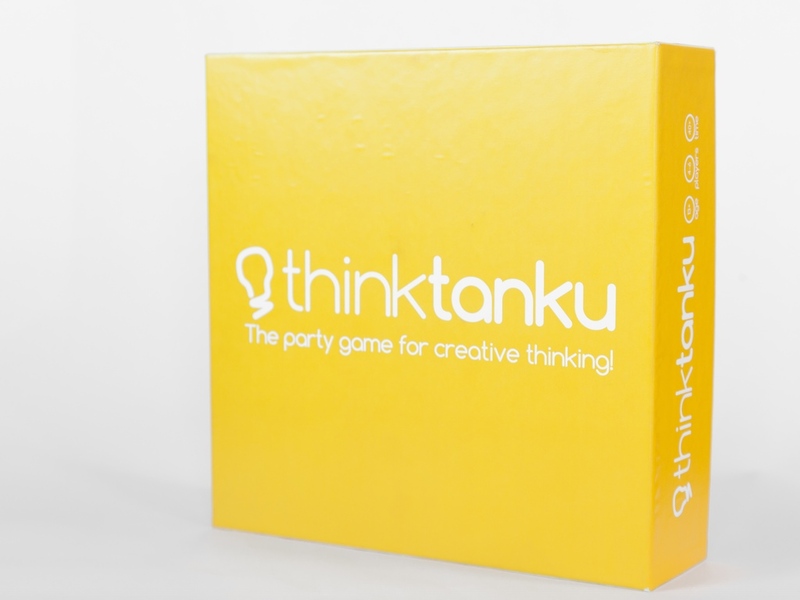 The rules let you play large battles set in the Ancient and Medieval periods. There aren't any minis specifically for the game, so you can use whatever figures you find most appealing. 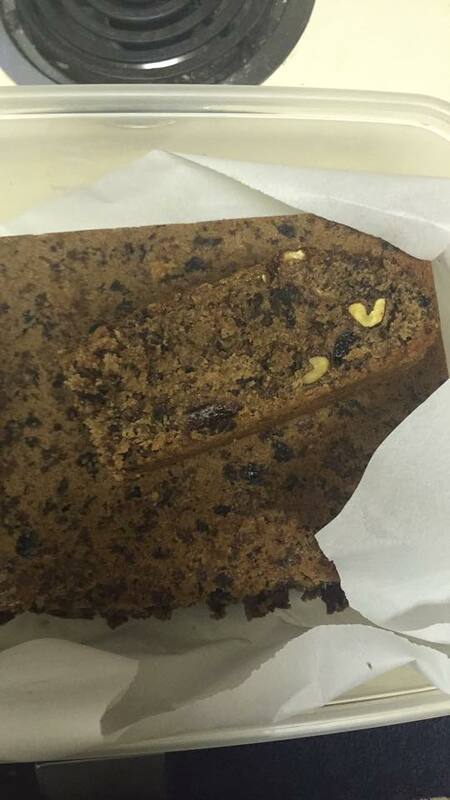 As long as they have equal basing, you're good to go. 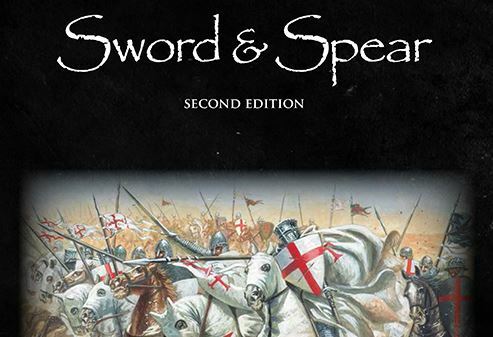 For those of you historical gamers out there, Great Escape Games is now taking pre-orders for their 2nd edition rules set for Sword & Spear. For those that don't know, Sword & Spear is a rules set that lets you play out battles from the Ancient to Medieval time periods. There's no set of figures for it. You can use whatever you want, as long as the unit's facing is equivalent. Welcome to Sunday. Hopefully you had a good day yesterday. I had my character die in my D&D game, but it was scripted that way, as I am taking back over DM duties for the campaign. It should be a good time. 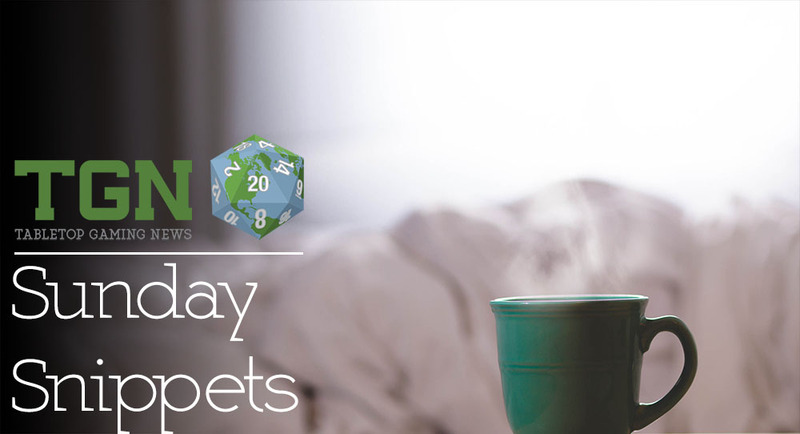 Anyway, it's Sunday and we've got another batch of bite-sized stories to present to you. 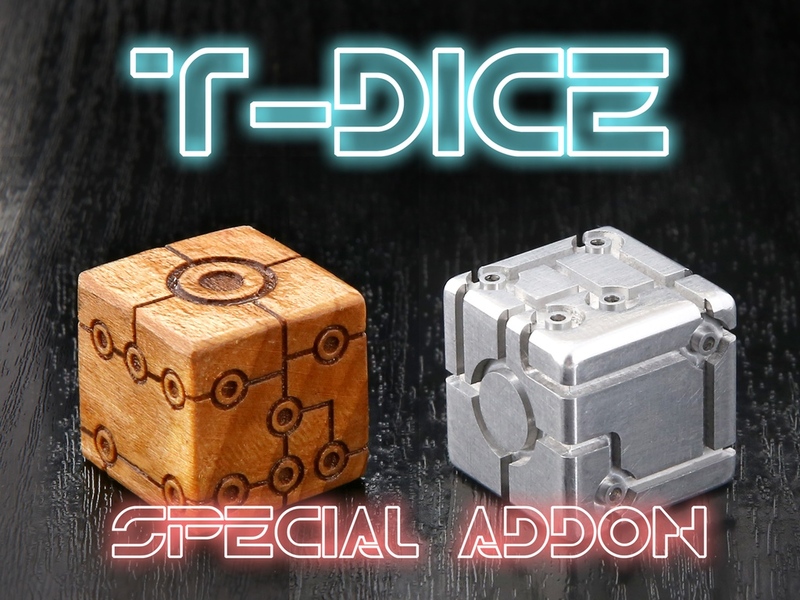 This time we've got: Some more Installments of The Fiver from The Meeple Mechanic, Drill Sergeant free miniature for May at The Ion Age, Brigade Models Release 6mm Mercenaries, Fireforge website back online, BluBot Masking Stencils Kickstarter Stretch Goals Unlocking, Heroic Maps - The Sepulchre of Last Vigil, New 10mm Dark Age Barns from Escenografia Epsilon, and Great Escape Games: fantastic new 4Ground realistic trees. Great Escape Games has plans for this Saturday that coincide with a lot of other people's plans for Saturday. They'll be at Salute and would love to see you there. They've got various special deals going on. 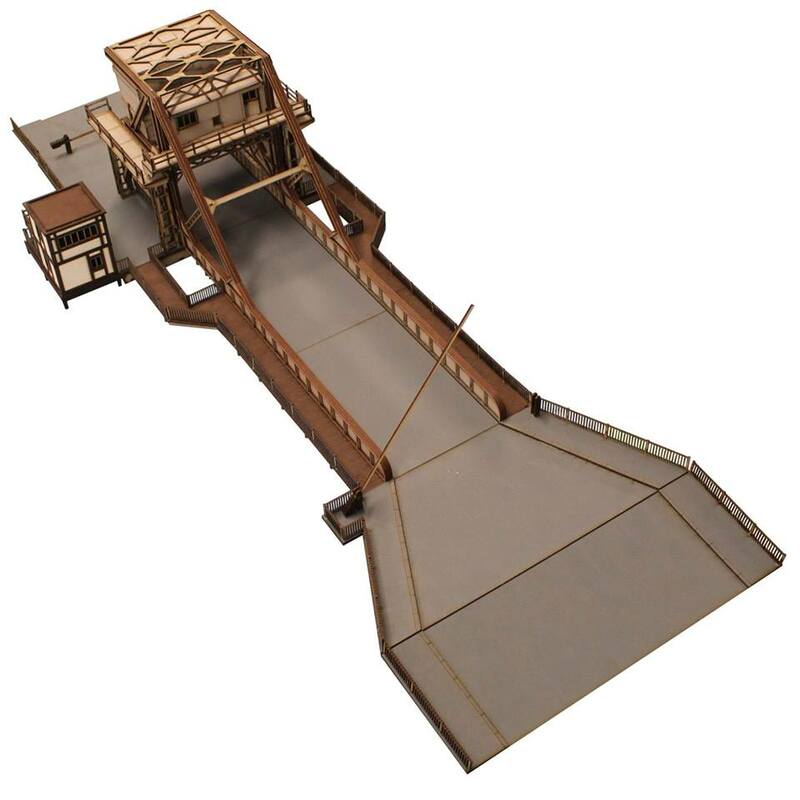 You can get free minis or terrain with select purchases. They have special bundle deals on books as well. Check below the cut for what they'll have going on. 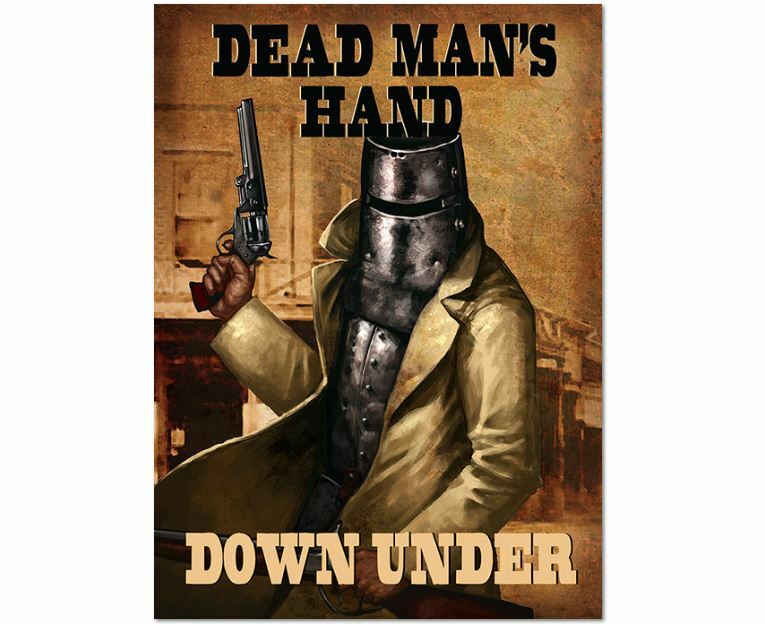 Great Escape Games has begun taking pre-orders for their new Dead Man's Hand expansion, Down Under. The book takes you to the land where women glow and men plunder with 12 new scenes and 3 new gangs (though, unfortunately, none of them are "The Dundees" or "the Men at Work", but waddyagonnado?) : the Kelly Gang, State Police, and Bushrangers. You can order the book now and they'll start shipping out April 25th. Though it's raining here in Atlanta on this Friday the 13th, we're not letting it get us down. 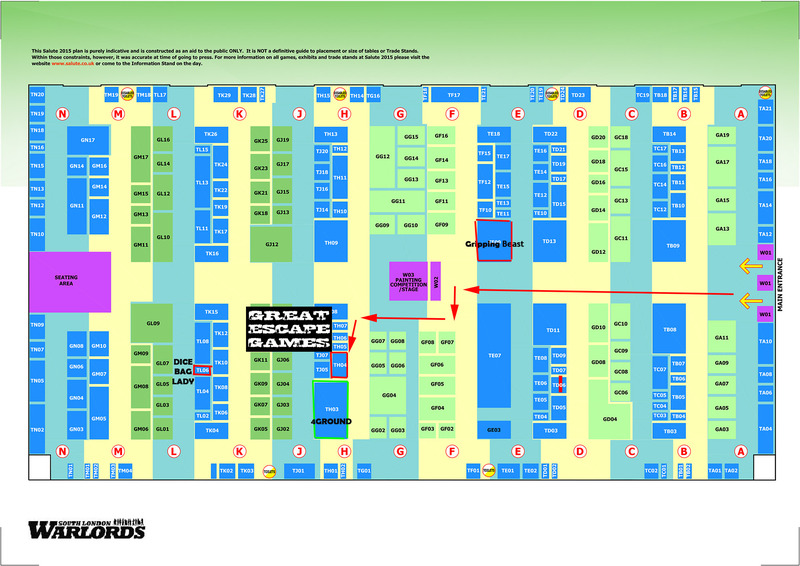 GAMA is next week, as well as AdeptiCon. So there's plenty to be looking forward to. And, of course, there's gaming this weekend. For me, there'll be D&D. What do you have in store? 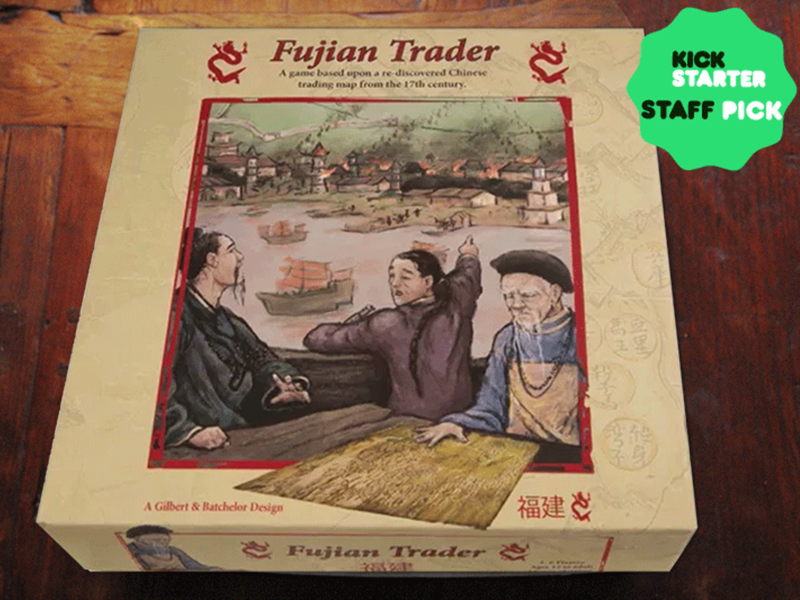 In this installment of Snippets, we have: More installments of The Fiver from The Meeple Mechanic, Final Week and New Pledge Levels for Fujian Trader, Tabletop-Art Previews Upcoming 32mm Bases, New 10mm modular building range for DZC available from War Mage Games, Oddzial Osmy’s 3mm February Releases Arrive at PicoArmor, New Maori Pa Terrain from Catalyst Creative, Legendary Metal Coins Now Live On Kickstarter, LaserCutCard Stacked Containers Plus Bundle Offer, New Dead Man's Hand 4Ground pre-painted buildings and accessories, and EZPainter Kickstarter updates and Rates news. 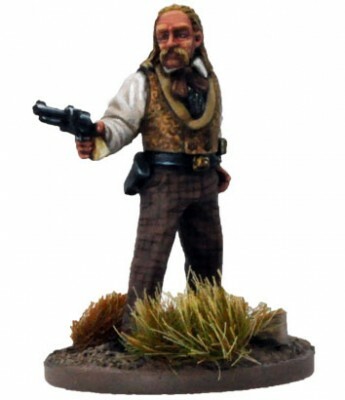 Great Escape Games has added Wild Bill to their Rogue's Gallery for Dead Man's Hand. Sculpted by Mark Evans, sample painted by Paul Cubbib, Wild Bill is available now. 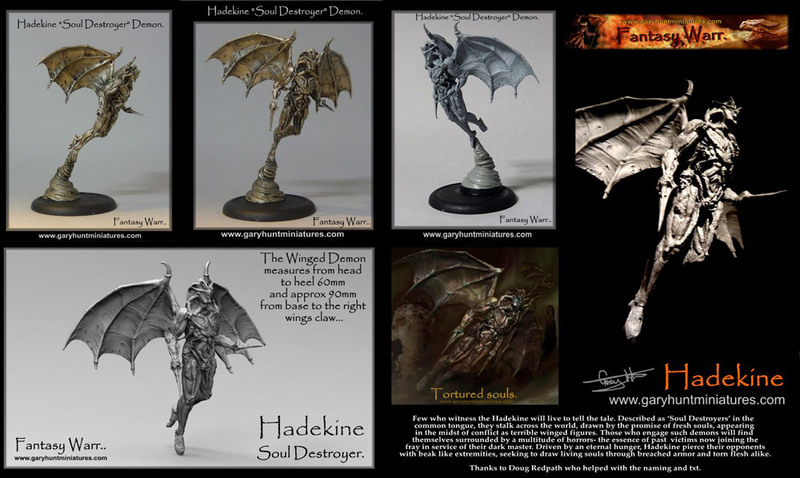 28mm figure supplied unpainted with base, stats card and special playing card. 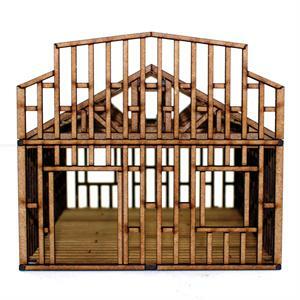 Great Escape Games helps terrain-up your gaming table for Dead Man's Hand, or any Western-themed game, with some new buildings and board walks. 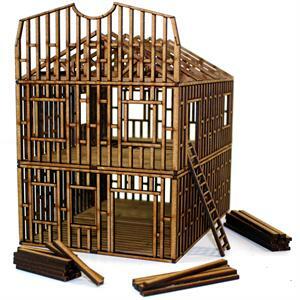 After a load of big, feature buildings 4Ground have released two small "under construction" buildings for the Dead Man's Hand range, a single and a double storey. 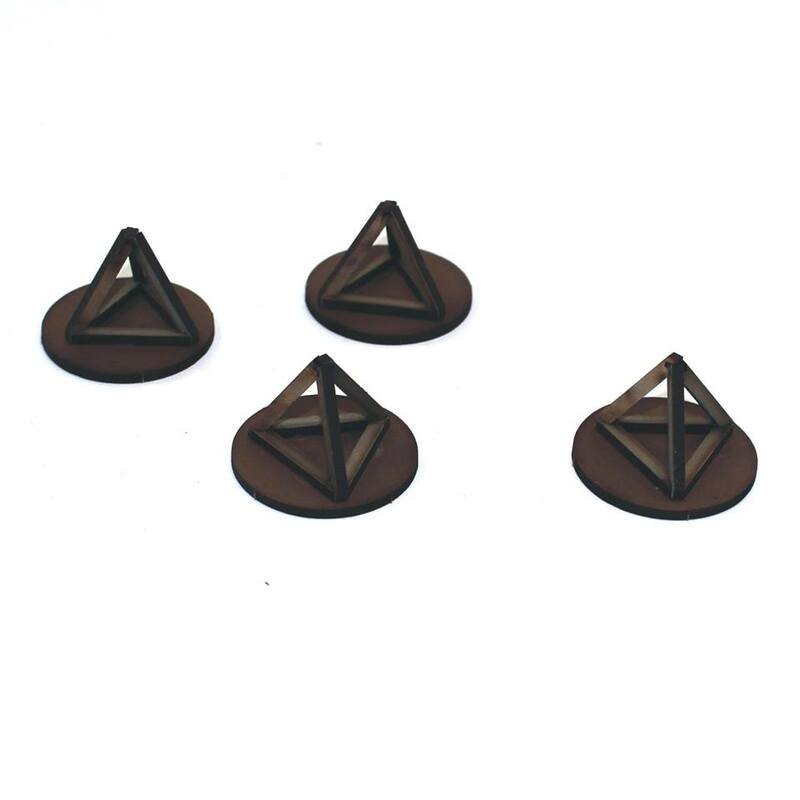 Great Escape Games gives you more options for your WWII-themed terrain boards with the release of several new elements, from accents like tank traps, to a pegasus bridge. 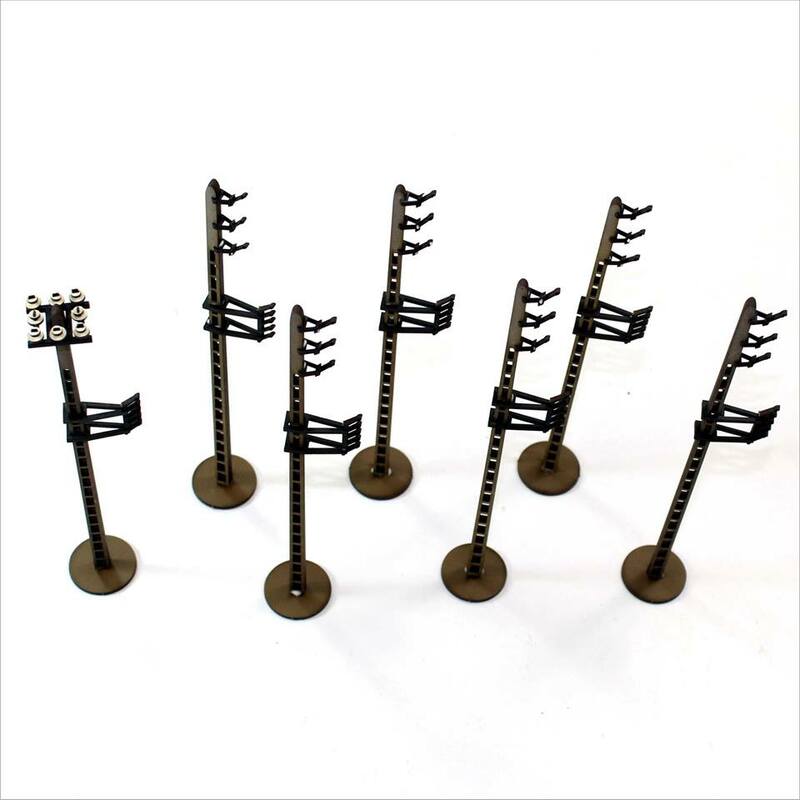 Loads of WWII goodies from 4Ground have been added to the Great Escape Games webshop. Fist up is hedgehogs and dragon's teeth tank obstacles and the very lovely telegraph poles. And the awesome Pegasus Bridge, pre-painted and absolutely stunning, measuring over 2 foot long! Also Café Gondrée, again pre-painted. 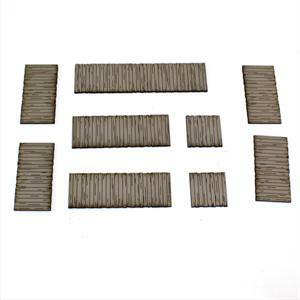 All are available now along with our extensive range of Dead Man's Hand, WWII miniatures and scenery/basing accessories. Great Escape Games is showing off some new units for Dead Man's Hand. First pictures of all the 4 new gangs for Dead Man's Hand! See the webstore for details and deals. 28mm. 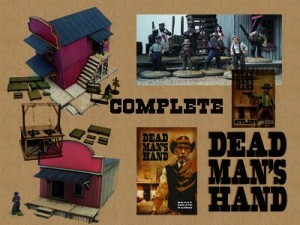 Great Escape Games is now taking orders for their The Legend of Dead Man's Hand organized play kits. The Legend of Dead Man's Hand is the campaign sourcebook for Dead Man's Hand, in which players take a gang of no-good crooks or a posse of untried, but honest, good men, and endeavor to make their mark on the Old West. Rivals develop business schemes or criminal enterprises, gain skills and experience, expand the size of their respective bands, and engage in plenty of Wild West gunplay in their rise to glory or descent into an early grave (or the bottom of a bottle). 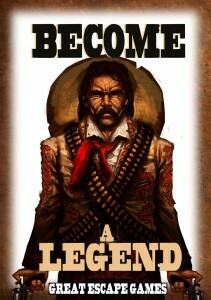 The Legend of Dead Man's Hand contains rules for running multi-player campaigns, eleven new scenes (including multi-gang shootouts), and four new gang types: Banditos, Renegade Indians, 7th Cavalry, and Pinkertons. In the coming weeks we'll give you the lowdown on different aspects of The Legend of Dead Man's Hand, and give you details on a host of new 28mm miniatures, buildings and accessories and more. Great Escape Games will be coming out with The Legend of Dead Man's Hand, an organized play format for their game Dead Man's Hand. The Legend of Dead Man’s Hand is the campaign source book for Dead Man's Hand in which players take a gang of no good crooks or a posse of untried but honest, good men and endeavour to make their mark on the Old West. Rivals develop business schemes or criminal enterprises, gain skills and experience, expand the size of their respective bands, and engage in plenty of Wild West gunplay in their rise to glory or descent into an early grave (or the bottom of a bottle). 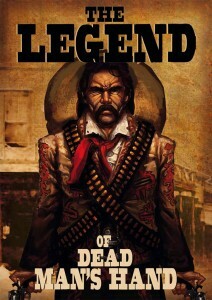 The Legend of Dead Man’s Hand contains rules for running multi-player campaigns, 11 new scenes (including multi-gang shootouts) and four new gang types: Banditos, Renegade Indians, 7th Cavalry and Pinkertons. Great Escape Games is offering up a one-click collection of all things Dead Man's Hand and giving a nice discount if purchased that way. 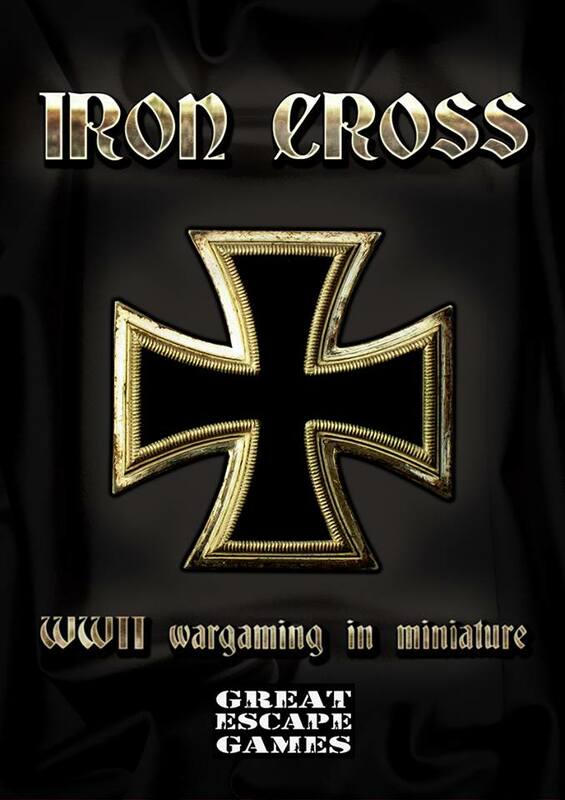 Great Escape Games will have a new gang and scenes in the upcoming issue of Wargames Illustrated. The upcoming issue 315 of Wargames Illustrated features a brand new gang, three new scenes and a new set of gang specific cards which are exclusive to Wargames Illustrated and come free with the magazine. The new gang sees a Stranger coming to town and gathering up the local citizens, arming them and getting them ready to fight. Once in a while things’ll get so bad around town that the folks have just had enough. Sometimes the law helps, other times the folks in town are brought together by something else entirely. The Stranger came into town and shook everything up. Short on words, he let his pistols do the talking, and when they spoke they sang a song of death. Nobody knew his name, when he came or when he left; they just knew that the streets were safer and the cemetery held a few more corpses. 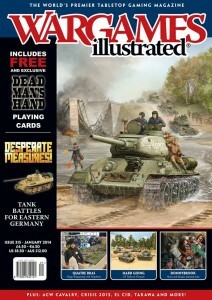 Great Escape Games will be stocking this issue of WI and have a couple of bundle deals in the webstore. And if you haven't played Dead Man's Hand yet, then it's time to quit talkin' and get shootin'! This item will be shipped upon release in the third week of December and will be due in time for Christmas in the UK. Pre-order now in the webstore. 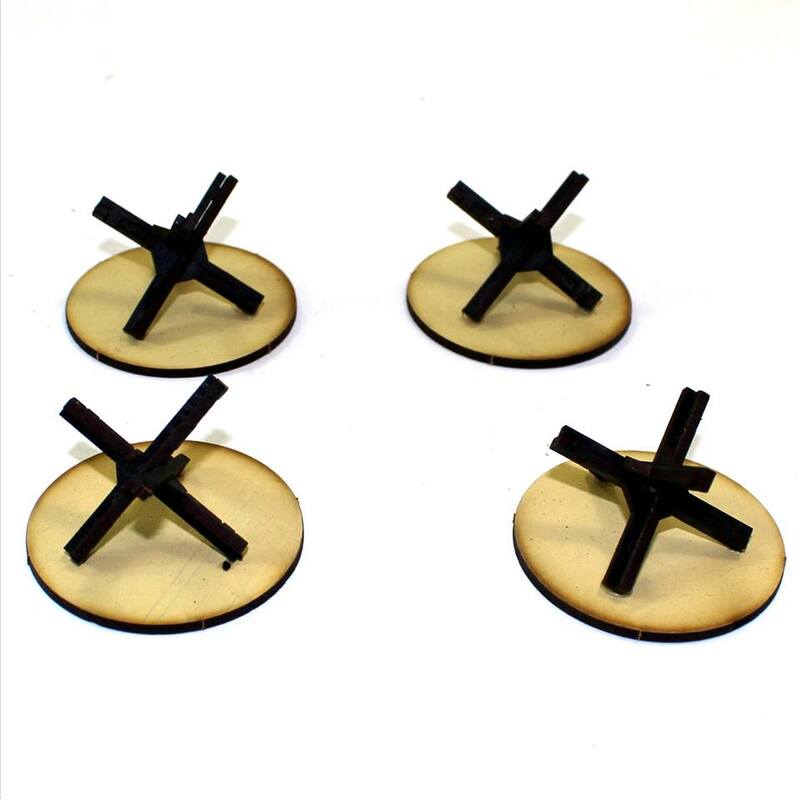 Great Escape Games has new Casualties available for Great Escape Games. 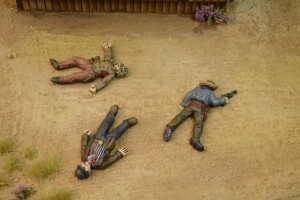 Great Escape Games has released four sets of dead wild west figures for the Dead Man's Hand range of 28mm miniatures.